OK gang – let’s say that you are an athlete who has to stand on one leg at some point in your sport. This could be running straight ahead, cutting laterally on the soccer field, jumping up for a rebound during a game of pick up – literally any weight bearing sport! You need to learn how to properly USE your foot. So many running athletes don’t have proper coordination of muscles inside their foot. If you can’t move your foot, your foot position will fall apart when running, jumping, cutting, and anything else you do. #1 – understand your foot. Years ago, I made this video for Running Times. The focus was on how to prepare your foot for minimal running shoes (because that was the trendy thing to talk about at the time) but let’s be 100% honest here – the criteria I point out are valid and critical for ANY running athlete. So take a look at it, and make sure you can separate out the “right way” to use your foot muscles. Yes, its hard for most of you, and yes it gets better really, really quickly if you invest a few minutes a day. The single best way to improve your foot strength is to use a rocker board. First, tilt the board so that it is at 45 degrees to your body. The reason for this is that axis of pronation in the foot is closer to this orientation then it is straight across. You want to make your training functional. Since the only way you can control the board is by using your foot, it’s critical to keep the “triangle” of the inside and outside ball of the foot and the end of your big toe firmly down on the board. (if this doesn’t make sense, watch the video!) While standing with good posture, touch the toe side of the board down to the ground, then the heel side. This is one rep. Repeat for 2 sets of 20 reps. Then rotate the board 90 degrees so that you are working the opposite 45 degree axis (on the same foot) so that you complete 2 sets of 20 reps in each 45 degree axis on each foot several days a week. If you need support, feel free to stick one finger on a wall. It’s better to get help and control what you can than to flop about aimlessly. I don’t have a video of these made, but I have pics in my book. So where can you get one of these things? There are quite a few places, and a lot cost about 80-110 bucks! too much! The cheapest place I’ve found is from Sportsmith.net. I have 2 of these in my clinic and we have one at my house. After you’ve learned proper foot muscle coordination inside your foot, there is no better piece of equipment out there to use on a frequent basis. And you can use it to kick up virtually any single leg exercise. Note – a rocker board is quite different than a “wobble” board. A rocker board pivots around 1 single axis and is great to “train” proper foot stability. A wobble board is essentially a ball on the bottom of the board and is completely unstable in all directions. Sure, a wobble board is more unstable, but its one situation where more instability isn’t better. Get the rocker board, and have fun improving your balance! This entry was posted in cycling, rehab, running, triathlon, Uncategorized and tagged Anatomy for Runners, Dicharry, endurance, foot strength, gait analysis, injury, rebound physical therapy, rehab, rocker board, running, running form, Running injury barefoot minimalist, shin splints, triathlon on December 8, 2015 by an athlete's body. Just one of many uses of the CoreSling in action. Check out their exercises videos on their site to see how you can challenge yourself, and improve! Imagine doing planks on the swiss ball if the ball itself was being pulled sideways while you were on it: insta-challenge for your deep core muscles! Imagine doing hamstring curls with added resistance as your stabilize: hammy of steel. There are about a dozen exercise videos on their website, and I find I wind up making up my own ways incorporate it into other exercises as well. Moving the point of resistance away from the body requires you to control your rotational and lateral position as you move through various exercises. I’m not going to write a bunch of useless filler here, as the thing just plain works works. Since I brought this into my clinic, I use it in some capacity with about 70% of all my patients. That says something. And patients are typically blown away at how much more “dynamic” some of their old exercises can be with a new “spin” from the CoreSling. Take home: Its fun, challenging, and belongs in your home gym. This entry was posted in cycling, rehab, running, triathlon, Uncategorized and tagged Anatomy for Runners, CoreSling, Dicharry, endurance, gait analysis, injury, injury prevention, rebound physical therapy, running, strength training for runners, strength training for triathletes on December 4, 2015 by an athlete's body. Jinge bells are out, mistletoe is up, and you are freaking out because you missed out on useless sales on Black Friday and Cyber Monday…..uh oh. What do you do now? How about dig deep, and find a present for your fellow endurance athlete that’s actually worth its weight. This week, I’ll throw out my top 5 products to help you improve. And while I didn’t actually pay for any of them (they were all sent to me by the respective company to try out), the key is that I actually DO use them. I get a LOT of stuff sent to me to try out/ demo/provide feedback. Rather than posting the things that don’t help, I wanted to share the products I feel actually have a reason to earn a place in your home training gym. The first product on the list today is one to help you to recover. That’s right – recovery!….. the “new” buzzword getting all the attention. I once heard someone say “there is no such thing as over-training, only under-recovery”……ummm ….sure……well…..from a physiological perspective, that’s about the most stupid thing I’ve ever heard. However, endurance training does lead mechanical breakdown and structural changes, and we could all use a few tools to help us along. If you want to learn more about what types of changes occur in your soft tissues during endurance training, I highly recommend you read up on it in my book Anatomy for Runners. I’m a firm believer that informed athletes make better decisions. Embracing the reason for change means you’ll embrace it as part of your overall strategy to improve. So today we are featuring 2 products actually. What is small, spherical, costs under 3 bucks, and may be the single biggest ally to have in your corner? The simple LAX ball. Yes, I know the foam roller is the self-proclaimed king of soft tissue recovery tools, but you likely already have one of those under your bed, and barely use it. Time for something else to mix it up. Where a foam roller can deform your body’s tissues in one plane, a LAX ball can dig deeper, and get better tissue deformation. In plain speak, the goal is to mobilize your body’s “layers” – and the LAX ball is a highly effective tool for doing so. A warning: even though its cheap, its ability to get a lot of pressure in a small spot also means it can inflict a lot of pain as it works its magic. Once your sweetie takes it our of their stocking, they can find about a million uses from the soles of their feet up to their lats. I’ve got a few suggestions in my book, and you can find a million more on youtube. Much cheaper than a trigger point ball, and if you lose it, no one is crying to invest in a new one. So the LAX ball costs 3 bucks….why should you spend more? And why would you ever want to stick your leg in between its jaws? Well lets look at reality here. You (or your significant other/friend) decides to ride a little bit longer than normal. Push a bit harder up the hill. Play an extra pick up game after the first one. Knock out an extra 3 repeats on the track just because your training partner says he’s “in the zone” (while you are about to see your lunch once more)….. time after time, we over-reach our volume and intensity. While your heart and endorphins are pumping at full capacity, the stress and strain on your body causes structural damage. And that damage needs help to heal optimally, so you can do it all over again. So you decide to bite the bullet, and shed tears on the foam roller and LAX ball, calling them the devil. It hurts so bad, all you can do is lock your muscles into a spasm. Guess what kind of positive effect this is having on the recovery process? –> nothing. The entire reason anyone would want to do soft tissue work is to move those layers of tissue around. The Roll8 allows you to RELAX so that you can actually mobilize tissue. Soft tissue work hurst sometimes, but but shouldn’t hurt all the time. In summary, these are both 2 excellent products. I have both, and use them both quite often, but for different reasons. If you’ve got a “problem area” you are trying to work on, the LAX ball is unmatched in its ability to go deep. But again, its often a bit too much for most folks, and a bit too potent to use frequently for a lot of athletes. The Roll8 is a really cool product that provides just enough compression and tissue glide to use pretty much daily. You won’t associate it with pain but instead with relief and mobility – which means you’ll actually USE it. I’m often amazed at the before-and-after difference I feel after using it for just a few minutes. For these reasons, I strongly recommend both of these as essential pieces of recovery equipment for endurance athletes. This entry was posted in cycling, rehab, running, triathlon, Uncategorized and tagged Anatomy for Runners, Dicharry, endurance, foam roller, gait analysis, injury, LAX ball, rebound physical therapy, recovery tools, roll recovery roll8, running, Running injury barefoot minimalist, triathlon, UVA SPEED Clinic on December 2, 2015 by an athlete's body. Skill first, dosage second. If you are looking for ideas on where to start your transformation next season – start here. This entry was posted in cycling, running, triathlon, Uncategorized and tagged Anatomy for Runners, conditioning, cycling, Dicharry, endurance, form, gait analysis, injury, rebound physical therapy, running, running form, Running injury barefoot minimalist, shin splints, technique, triathlon, UVA Running Medicine, UVA SPEED Clinic, weight lifting on December 2, 2015 by an athlete's body. 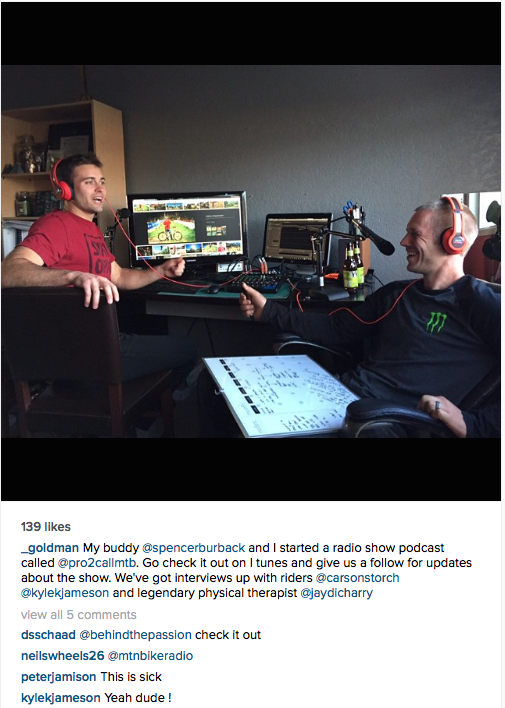 Mountain Bikers: fill your podcast list with this! 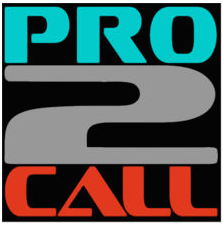 New on the airwaves – Legendary mountain biker Jamie Goldman and Spencer Burback launch their new podcast Pro2Call MTB on iTunes. Honored to be guest #3 behind of international legendary rider Kyle Jameson and Carson Storch (the next big thing….now). We talked bike position, warmup, rehab, keeping your body tuned to get the most out of your time on the bike, how to prepare for RedBull Rampage when you break your collar bone 5 weeks out from the hardest event of your season, and the importance of YOUR voice to maintain access for our trails. This entry was posted in cycling, rehab, Uncategorized and tagged Anatomy for Runners, Carson Storch, Dicharry, dirt jump, downhill, freeride, Jamie Goldman, Pro2Call on October 15, 2015 by an athlete's body. You pedal with your legs, but your shoulders and core drive the front end, and deserve some respect too. In this video, Jay Dicharry and Lindsey Voreis will teach you why posture and shoulder position are critical to keep you solid on the bike. Better bodies make better riders, and better rides! This entry was posted in cycling, rehab, Uncategorized and tagged allride, Anatomy for Runners, bike fit, cycling, endurance, jay dicharry, Lindsey Voreis, mountain bike, posture, REP Lab, shoulder pain, shoulder rehab, UVA SPEED Clinic on April 14, 2015 by an athlete's body.